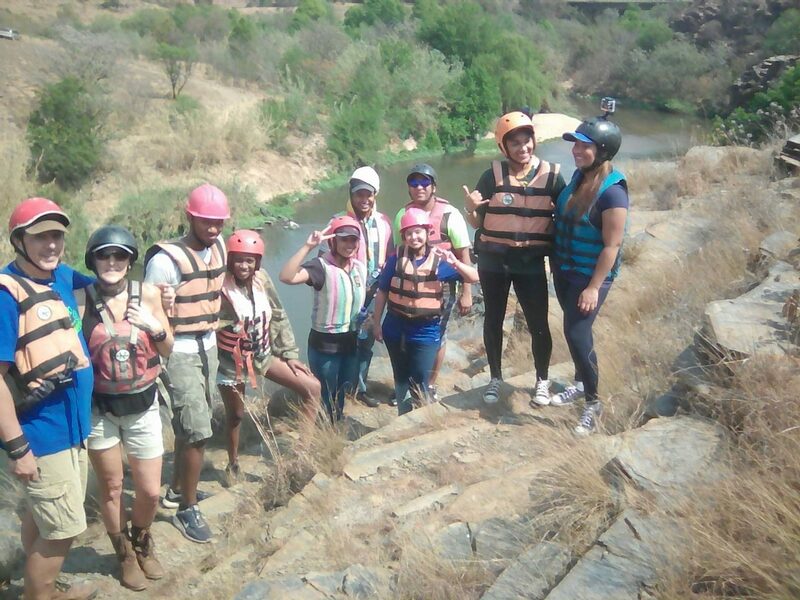 Nadia and I always try to do something fun and adventurous and the time was perfect for a little abseiling and tubing down a river! I uploaded a cool vlog on my YouTube channel, please check it out. For some reason certain devices are unable to see my video and I am not sure how to fix it… so please try on a computer/ laptop if you are keen to watch it. Creating some amazing memories now that we’re young is the only way to go! We should have a whole bunch of great memories to talk about when we’re older! After spending the day having fun with Impact Adventure Africa, we’ve decided that we will be hosting one of our Bonafide Events there because you guys need to experience it with us! I recorded most of the day and when it was finally time to Abseil and Tube down the river, my action camera died…. I know… I’m not very good at this vlogging thing!! But I think recorded some good stuff. They have so many really cool activities that are also really great for team building events and family fun days out in the bush. At the end of our awesome day, after catching a really good tan, we had a picnic in the cutest, hippie-like setting… I absolutely love that it was around twilight time, which is the best time of day. We took some really awesome pictures because our Earth is so beautiful. I thought it was gone, for sure but to my surprise, she called the place (she had already left) they found my purse, kept it safe and not a cent was removed from it!!! I was so truly grateful and this act of honesty and kindness warmed my heart, because there is still some good in the world! Thank you so much to Nadia, Tanja and the incredible people at Impact Adventure Africa for the most fun I’ve had in the sun all year! 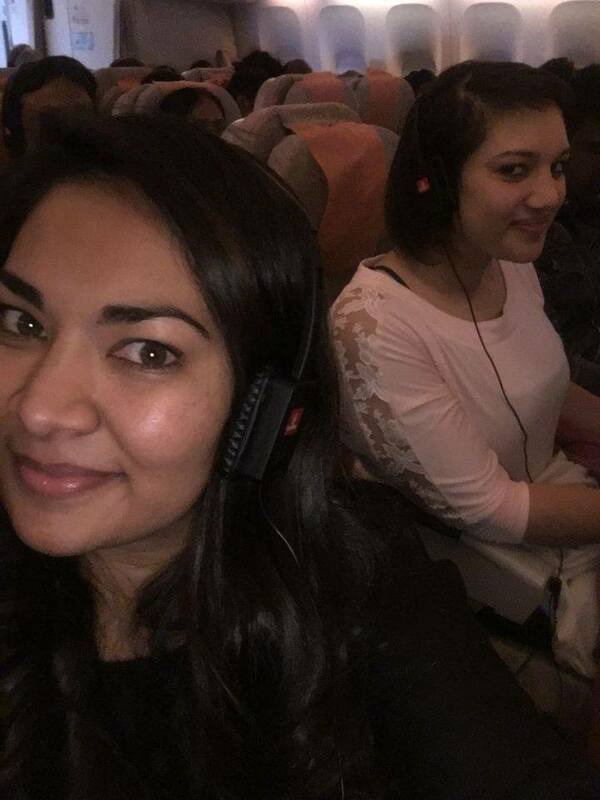 Travel Diary: My first EVER 8hour flight – Yikes! I’ve been away for so long, that I am not even sure how to begin this blog post! I should just apologise profusely and cry a lot, but FINALLY travelling abroad was way too good to be sitting in front of my computer. But low and behold, I have returned. Myself and Taahirah, both first time travellers joined a bunch of ladies! Experienced in both, travel and LIFE. The first part of our twelve day trip started with a lot of nerves! Not only because I was travelling without my family, or because I was yet to discover a beautiful new country, far away! But nerves, because I was going to be on an eight hour flight to Dubai!! Hate to state the obvious here, but I am slightly terrified of flying… yeah I would rather do something fun and adrenalin shattering, on land, but the take-off and the landing in an airplane seems to be the most daunting thing ever. Everyone gave me some tips and tricks and in case I forget, I needed to breathe, which funny enough, I sometimes did when I’m about to take off. I decided to take the brave step of not popping any pills at first… because I had to truly experience the adrenalin before I popped pills that may have made me sleep throughout a flight I may have enjoyed. Emirates is incredible! The flight attendants are simply beautiful, I started day dreaming about how I would have ever thought I could have been amongst the crew. Because I applied a few years ago! LOL I had to stand on the seat to grab my overhead luggage and I’m guessing that wasn’t particularly graceful on my part. I sat there, I doubt my seat belt could have been any tighter, but I sat next to really cool hippie guy, Kobus, that started talking pretty much immediately, and Taahirah was right beside me as well, she even held my hand LOL yes I’m officially a baby!!! Anyway… It wasn’t all that bad and I think I had more anxiety from the anticipation than the actual event! I LIVED!!! Shortly after the take-off there was a tiny bit of turbulence so I done the safe thing I took the motion sickness pill. There after it was pretty much smooth sailing! Taahirah is one of the most helpful and caring friends I have and she was amazing! Ps. her occupation as a nurse could not be more suited to her character! The flight was so much fun, apart from catching a miniature snooze, we watched some movies, expressed how excited we were, and of course went on a few little walkabouts on the plane. Kobus was telling me about his amazing wife-to-be who lives in England. They do a lot of goodwill projects and truly live like hippies, how amazing?! They are married now just want to wish them all the very best in their amazing new life together!!! Over the next few weeks I will be uploading the different amazing snippets from our holiday abroad. Dubai and Italy were absolutely amazing! I feel truly blessed to have seen the extraordinary places and to have met the people I did on this trip! Here are a few of the many photos I’ve collected on this trip! There are 195 countries in the world, excluding Taiwan. (Taiwan operates as an independent country, though not considered as one). There are several countries South African’s can travel to without a visa. All in all, there are 97 countries around the globe we can enter on our passports alone, and while they may not be the US, Canada, Australia or most of Europe, there are some dang exciting places to go. Most SADC countries are accessible to us without a visa, if we’re going there for vacation. Any form of work – even volunteering – requires some form of a visa, so make 100% sure what the rules are beforehand. Mexico, Cuba, and Puerto Rico. Here are some cool places to try out in JOZI. A lot of people when visiting Johannesburg, especially from Cape Town, ask what it is that Joburg people do. There are so many fun, exciting places and things to try out in Johannesburg, so I will do another post soon listing a few more. Travelling is the best thing ever, but sometimes packing isn’t! I have decided to list a few simple hacks to make things a little more organised. Roll clothes instead of folding them when packing them into your suitcase. 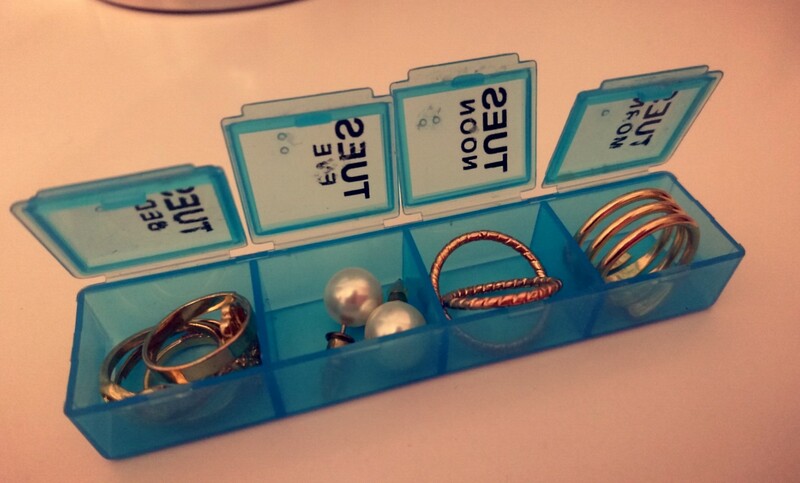 Use pill boxes to store and sort jewellery (studded earrings, rings, pendants, etc). Use a binder clip to pack your shaving razor. 4. Pack in an extra laundry bag to separate the used clothing from the fresh clothing, this will prevent them from mixing, and also makes laundry easier when you return from your trip. 5. Use a shower cap to wrap around the bottom of your shoes. This way your shoes will not dirty/ stain your clothing. 6. Use an empty tic-tac container to store bobby pins and hair pins. 7. Place cotton pads/ balls on top of makeup compacts to prevent the makeup from cracking or damaging while travelling. 8. Use a back pack when travelling instead of a handbag, this will ensure that the weight is evenly distributed and your hands will be free. 9. Use an empty sunscreen bottle to store items (credit card, keys, some cash, and lipstick) people will not suspect anything more than sunscreen, thus protecting these items. 10. Always add identification information on the inside of your luggage bag as well because tags attached to the top of the bag may be easily removed or lost. That is my top 10 travelling tips and hacks. 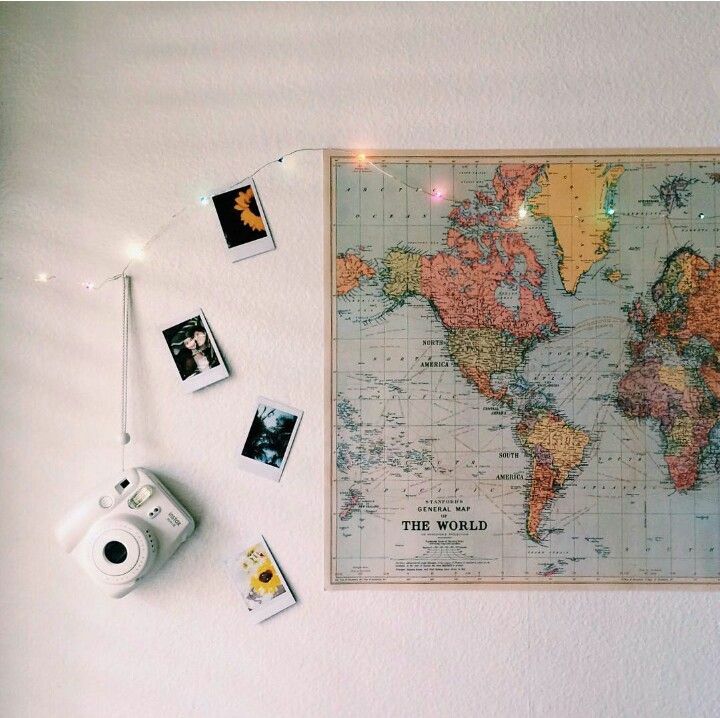 Hope that it helps you on your next trip! !